Sambhav Jain, Edie Zhang, and Colton Juliano are three confident, enthusiastic, and hard-working young people who took on the challenge of the Summer Youth Internship—an opportunity to gain valuable professional experience while enjoying their summers in the Golden Gate National Parks. As part of their Park Stewardship duties with the Conservancy, they worked to make sure park volunteers and visitors had an enjoyable and fulfilling experience. They studied the natural and cultural history of the area and put together talks and reports on what they learned. Below, read Colton’s fascinating write-up on the development of Adolph Sutro’s recreational attractions at present-day Lands End. 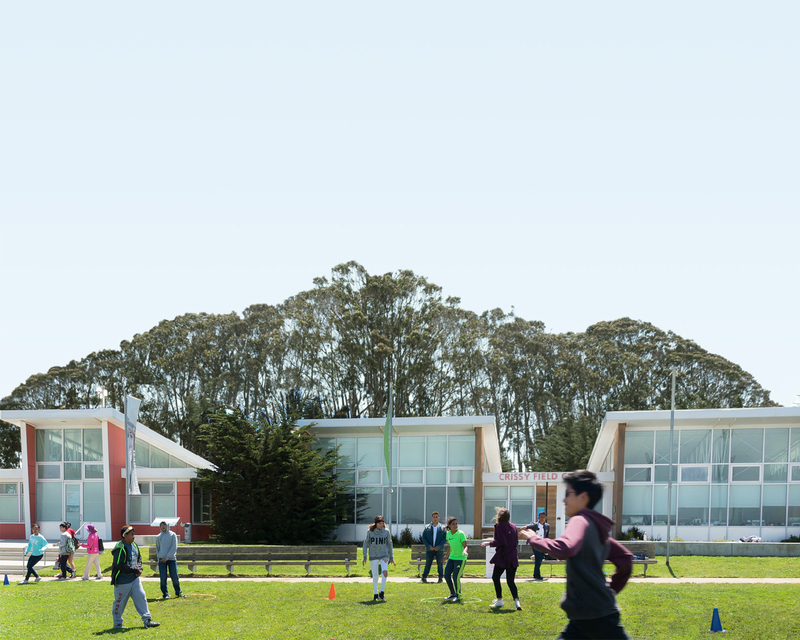 Did You Know: Recreation at Lands End? The development of Lands End started in the mid-1800s, but accelerated towards the end of the century as San Francisco’s growing population sought an escape from the hectic life of the city. Wanting to provide a retreat for just such a reason, Adolph Sutro—who had made his fortune designing a drainage/ventilation tunnel for the Comstock mines—started developing the area. In addition to establishing his home at “Sutro Heights,” he also built expansive gardens and conservatories filled with exotic plants, several balconies and observatories, and concession stands. Sutro also planned to build a library as a place for scholars to be inspired by the natural beauty, but abandoned the idea after being warned the salty air would damage his collection of books. More people began to make the journey to Sutro Heights after it opened to the public in 1885. Adolph Sutro realized that the available transportation options available were prohibitively costly. To make a visit more affordable to the people of San Francisco, Sutro financed the construction of a scenic railroad to take visitors from downtown to Lands End. The railway became an immediate hit. Around 1887, Sutro began to admire the ocean more and more. This admiration led Sutro to persuade Congress to pass an act granting the “Seal Rocks” near the Cliff House to San Francisco to preserve them for the people of the United States. He also decided that the cove north of the Cliff House would be a good location for an aquarium. The main part of the aquarium was a basin in the cove that was filled during high tide by a 153-foot-long tunnel cut through a cliff. As the tide rose, water would flow through the tunnel into the basin and deposit small ocean creatures. As the tide receded, the water would flow through an outlet in the basin and leave the animals exposed in a few feet of water. This ingenious design, along with rock paths crossing the basin, allowed for easy and pleasurable viewing by visitors. The aquarium also included a glassed and heated pool, located above the basin, stocked with exotic aquatic species. As the decade progressed, public bathing experienced an explosion in popularity across the country. Adolph Sutro began planning large-scale public baths—the ruins of which we can still see today. Seawalls were constructed and the building of the bath house began in 1890. The bath buildings were massive structures holding six different pools ranging in temperature and depth. The baths had a 25,000-person capacity, with bleachers for over 7,000 spectators. The pools themselves were filled with ocean water, and could hold over 1.8 million gallons. There were also various attractions like swings and toboggan slides. When the baths opened they became immensely popular, with thousands of families coming out daily to visit the baths and explore the surrounding area. After Sutro’s death in 1898, the Sutro Heights/Lands End area remained popular for a short period of time. However, as Sutro Gardens and the Sutro estate began to fall into disrepair, visitation began to decline in turn. By the end of the 1800s, the popularity of Sutro Baths waned and the facilities eventually fell into neglect. By the early 1920s, the Cliff House was the last major attraction in the area but soon experienced its own decrease in attendance and closed, not reopening until 1937. Today, Lands End is still a destination for many in the city after an ambitious habitat restoration program began in 2006. Although it is no longer heavily developed, the ruins of a lost era are spread around Lands End, including what is left of the Sutro Baths and Gardens. If one knows where to look, one can find remnants of the railway which is now a pedestrian path, the aerial tramway that took visitors from the Cliff House to a vista point, and even old decorations from “Playland”—a theme park near Ocean Beach where Safeway is today.